Today, I received some good news. I had my interview at JCP portrait studio, and the manager would like to see me for a second interview. Yay. Then, I received an email from Sprouts offering me a job. Double yay. I wish I could be more happy about all that. 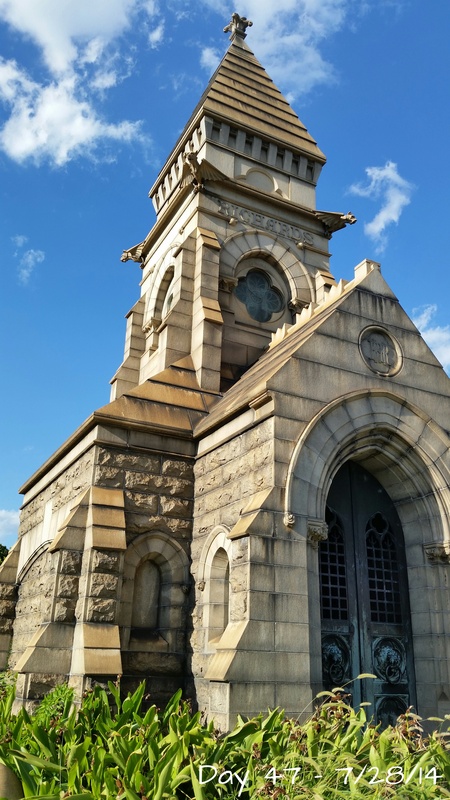 Instead, I spent the afternoon at Oakland Cemetery. Which sounds a little odd, but I’m comfortable there. It’s a beautiful place to walk around, or just sit under a shade tree. Even though I’m glad that I’ll soon be working again, I’m still down. My brain is on overload thinking, and thinking. I’m hoping that by having a week alone, I’ll be able to sort out these thoughts and get my head straight. Hoping that I don’t just get more lonely, sad, and depressed. Hoping that I begin to get my life in order now that I’ll soon be working. Hoping that I’ll understand what I want, and go after it. I’m sick of thinking I understand my situation, and then the next day wondering if I made the right decision. I’m sick of the back and forth. Being in that confusing place is irritating and complicated. Clarity comes from really listening to your heart and being confident that you will make the best decision for yourself at this point in time. It’s paralyzing to think that there is only one right choice. Any choice is the right choice for you right now. There are many possible paths for you to travel and each one is both magical and challenging. Do something to get out of your head so you can breath and chill. Then think, “if I were someone who knew what to do next, what would I do?” Take a bold a step as you can think of and keep moving forward. You are so welcome! I have issues with this even though I know better. That’s when I go to my art.